As the sun rises and the fog dissipates from the tall grass in the pasture, the gentle creatures of Quantum Leap Farm (QLF) begin to stir in anticipation of their day. As the birds chirp, Elvira the cat walks through the horse barn greeting her friends, Cowboy, Idaho, Tampa Bay and others. The mission for the day: put a smile on each visitor’s face. Quantum Leap Farm is more than just a beautiful, serene, 10-acre horse farm. It is a therapy farm. People of all ages (from 2-92), facing different challenges come to QLF for treatment. Participants have a variety of life challenges including Parkinson’s disease, Multiple Sclerosis, Muscular Dystrophy, traumatic brain injury, spinal cord injury, Down Syndrome and other developmental disabilities. Multiple Sclerosis (MS) patients with gait and balance problems find that horseback riding can help with their progress. Sitting on the horse can stretch hip joints and reduce pain and leg spasms. The movement of the rider’s hips can make them more limber and increase muscle tone in the legs. A horse’s gait models normal human gait. The stride and rhythm help keep the MS patient’s normal neural networks stimulated. QLF has received support from the National Multiple Sclerosis Society. Edie Ebbert Dopking, PhD founded Quantum Leap in 2000 to serve people with injuries and disabilities. She had always loved horses and purchased the farm nine years earlier. As a graduate student in USF’s Aging Studies PhD program, she began volunteering at Bakas Equestrian Center, a therapeutic riding program for disabled children. 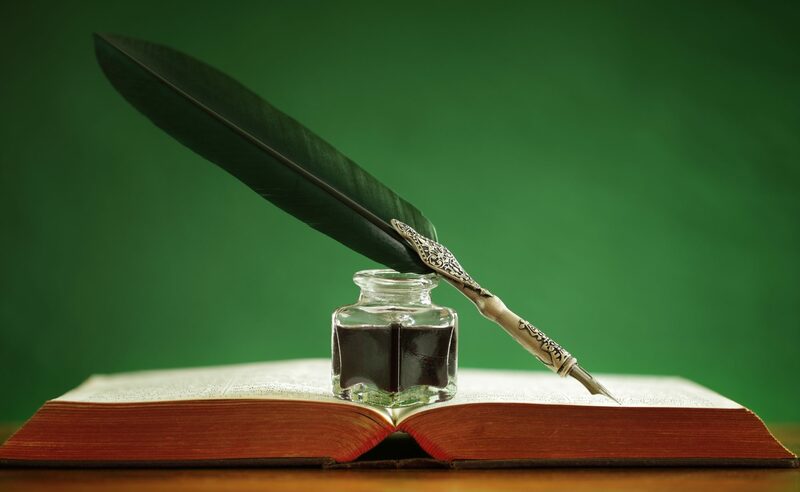 Her interest in this field grew and she completed her dissertation on patients diagnosed with neurodegenerative diseases, developmental, mental and physical disabilities. That’s when she decided to open a therapeutic farm. There were other farms in the area for children, but she wanted to start one for adults and children. The name Quantum Leap started with the idea of it being a horse jumping barn, but now “It’s a better metaphor for what happens with guests and visitors,” says Dopking. In its first year, with the help of 90 volunteers, they provided over 1100 riding sessions to 80 participants from Hillsborough, Pinellas and Pasco Counties. The reputation of the fine work performed at the farm has grown and in the last year, they served over 800 people with over 6,500 therapeutic sessions. Participants are referred by word of mouth and by other agencies including James A Haley Veteran’s Administration Hospital, USF’s Parkinson’s Support Group, the West Coast Chapter of the American Parkinson’s Disease Association, and Morton Plant Hospital’s Stroke Support Group, to name a few. “The most gratifying part is to see people who were previously focused on their disability and losses and begin to change their focus to what they can do rather than what they can’t do. They start to think, if I can do this, than I can do xyz. They begin to feel empowered,” says Dopking. Patricia Fried, JD, Executive Director, joined QLF in January, 2011, bringing with the knowledge gained from her 21 years at Eckerd Youth Alternatives, overseeing daily operations, improving services to delinquent youths and their families. Her vast experience, attention to detail, and organizational skills are greatly benefiting QLF. Carla Staats, Co-Director At EASE Program, holds a Master of Arts in Mental Health Counseling, a Bachelor of Arts in Psychology, and many other certifications, including EAGALA (Equine Assisted Growth and Learning Association). She has worked with civilians, veterans, and adolescents. She works to replace unhealthy habits with more effective behavior to resolve problems. As a horse owner, she knew people could benefit and learn team building and coping strategies working with horses. She developed At EASE (Equine Assisted Self Exploration) program used at QLF. Jenna Miller, Co-Director At EASE program has over 20 years’ experience as a competitor and coach. She has a B.S. in Animal Science and Masters in Mental Health Counseling. She has worked with families and groups at Metropolitan Ministries, James A. Haley and Bay Pines VA hospitals, as well as active duty military and their families. QLF, in a partnership with Neuro Restorative, run the EASE program to help participants with traumatic brain injuries. Participants have been referred by SOCOM Family Care Coalition, Operation Homefront, Family Resource Centers at MacDill Air Force base and many other local corporations and businesses. EASE offers team building and problem solving techniques. Lynn Bankston, MPT, Director of Hippotherapy has a Master degree in Physical Therapy and is a member of American Hippotherapy Association. She helps patients overcome function loss from amputations and other orthopedic and neurological conditions. Hippotherapy is a form of physical, occupational or speech therapy using the movements of a horse to provide sensory input. They will be hosting an American Hippotherapy Association Certification Course at the Farm in September. Carrie Peterson, Therapeutic Riding Instructor, Mary Diana, Equine Specialist/Operations Coordinator, Liz Howell, Stable Manager, Sheryl Whitley, Riding Instructor/Barn Manager and Kaitlyn Conley, Weekend Barn Manager complete the workforce. All share the love of horses and many years experience. In order for QLF to continue to serve the community, volunteers are needed. Last year, volunteers accrued over 7,000 hours in order to assist with the daily operations of the farm. Services performed can include general upkeep of the barns, including sweeping floors and raking hay in the goat’s pen. Animal lovers will enjoy brushing the horses, or holding the reigns while leading a horse with a rider. You must be 16 years or older. This is a great opportunity for high school students looking for volunteer hours to qualify for Bright Futures Scholarship. Kaitlyn Conley, the weekend barn manager, was a volunteer for several years before she became part of the staff. Quantum Leap believes in supporting our military personnel, facing new challenges stemming from a loss of limbs or post traumatic stress disorder. It has received support from the USAA Foundation, Operation Homefront, and other organizations. QLF hosts the Women of Warriors retreat several times a year. This is for the caregivers of military personnel. The most recent event was held last month. The farm partnerships with Wounded Warrior Project. The organization flew the women in from all over the world. Their husbands are dealing with PTSD or TBJ (traumatic brain injury). The retreat focuses on mental and behavioral health counseling. They work on trauma resolution, peer to peer interaction and a new perspective that mimics behaviors in times of anxiety and stress to find productive coping strategies. Four times a year, QLF hosts “Military Family Fun Day” with pony rides, hay rides, arts & crafts, pony painting, and a delicious cookout. Military families get to enjoy a day on the farm and time to reconnect with their family. In addition to the therapists and volunteers, the other key element to the success of the farm is the horses. The horses find their home on the farm in a variety of ways. Some are donated and others are boarders, with the understanding that they are used in the program. Horses have to go through a conditioning process for the experience, which generally takes 2-3 months. They need to get used to people mounting from the big ramp, rather than the ground. Some of the participants are mounted on the horse with the assistance of a lift. The horses need to get used to the lift being over their head. The staff and volunteers spend time de-sensitizing the horses. Autistic kids can be loud and get excited so the horses need to get used to it. They start in the ring without a rider and just a leader. Once the horse is comfortable, they add an experienced rider who is a volunteer. After this step is completed, they start with the highest functioning clients. It costs approximately $600,000 per year to run the farm and only a small portion is received from the county and grants. The majority of the funding comes from community donations and fund raising events. Quantum Leap Farm’s Run, Hop, Leap Fundraiser, will be held Friday, May 3 and Saturday, May 4. Events will include a Crazy Sombrero 5K and 1 Mile Fun Run. For more fund raising events, like this and the golf tournament in November, visit their website. In addition to fund raising events, the farm hosts several special events throughout the year. 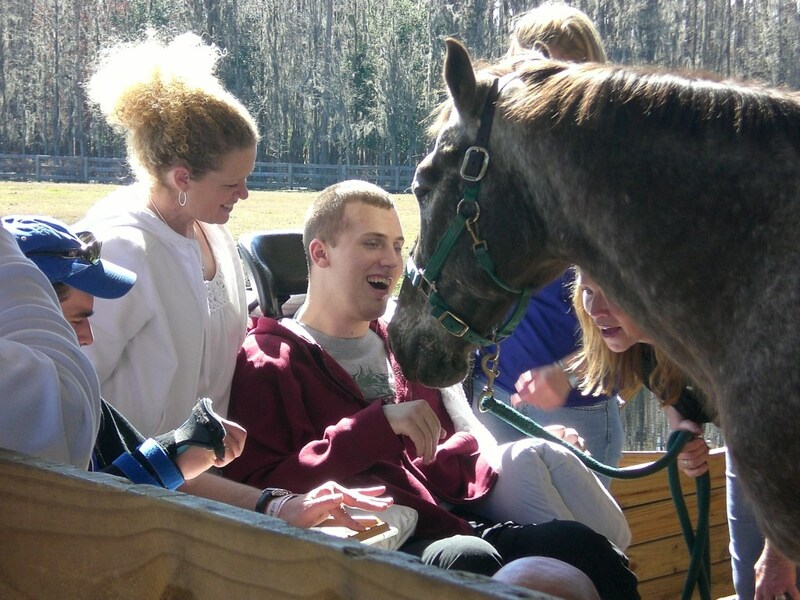 Makayla’s Hands on Horses Family Fun Day will be held on April 13, from 12:30-3:30. Quantum Leap Farm, in partnership with 1Voice Foundation, welcomes pediatric cancer patients, pediatric cancer survivors, and their family members for an afternoon of fun at the Farm including pony rides, pony painting, equestrian arts and crafts, games and more! For additional information, please contact us at quantumleapfarm@verizon.net. Therapeutic riding promotes muscle strength, while improving balance and coordination. Participants enjoy riding the horses in the fresh air, either in the pen or on the nature trails. Visitors without disabilities are welcome to ride as well. The cost is $50 per 50 minute session. Hillsborough County purchased the land around the farm for the Lake Francis Preserve, so visitors have the ability to use the trails in addition to the 10 acres of Quantum Leap. Quantum Leap Farm is located at 10401 Woodstock Road, Odessa, Florida 33556. 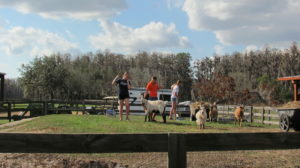 For more information, visit their website www.QuantumLeapFarm.org or call 813-920-9250. As the sun sets turning the blue sky to pink, and the last smiling visitor leaves, the creatures of Quantum Leap Farm are content in knowing their mission for the day was accomplished!